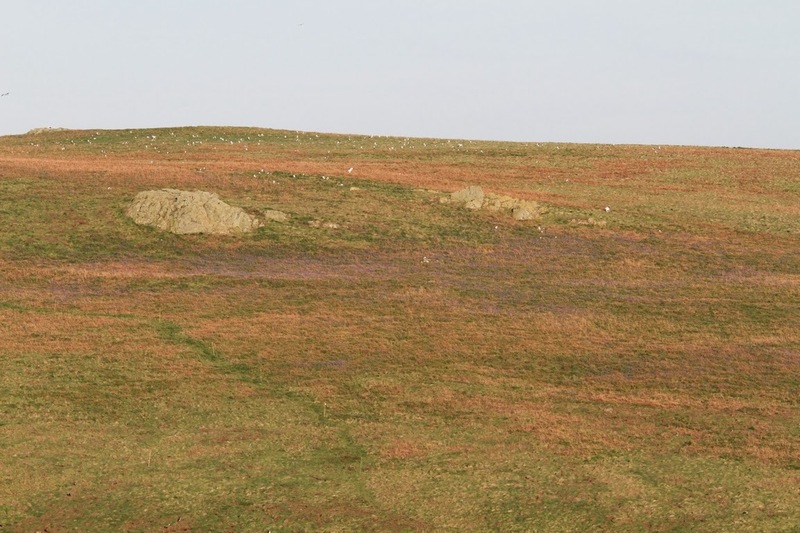 Finally spring is on its way to the island and the first patches of blue have started appearing on the hill sides. A forwarning of the blue carpets to come. Remember to keep an eye on the recent sightings tab for all of the latest bird news. 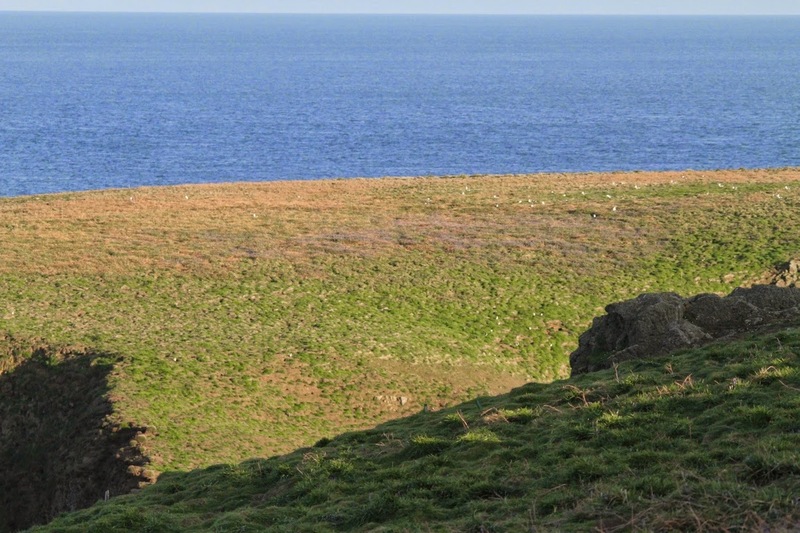 After a simultaneous desertion a few days ago of all the welsh islands by the fussy Puffins, Guillemots and Razorbills, the seabirds are back again. 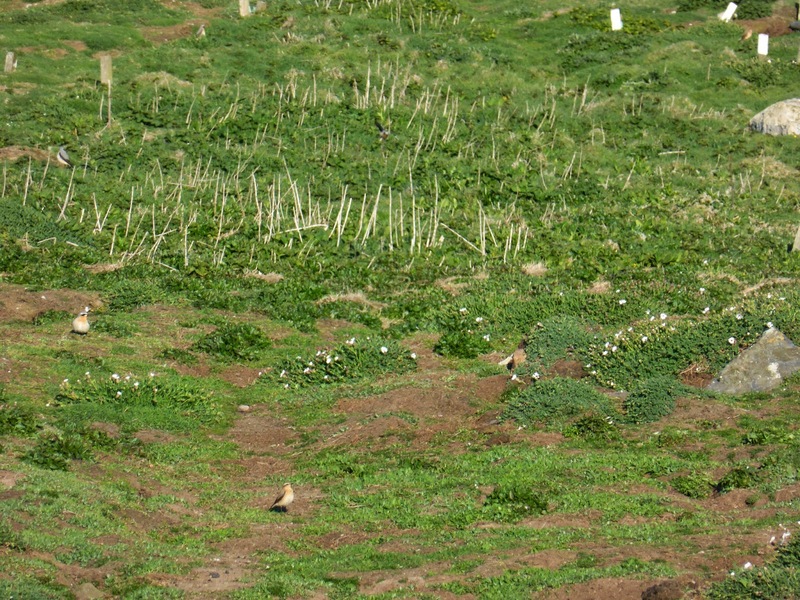 It is currently 4pm and there are hundreds of Puffins circling around North Haven and the cliffs were populated by 'guillies' and 'razors' this morning. So its smiles all round for the people who are staying on the island and the day boats will be running again from 10am tomorrow for those who want to come and enjoy the island for the day. 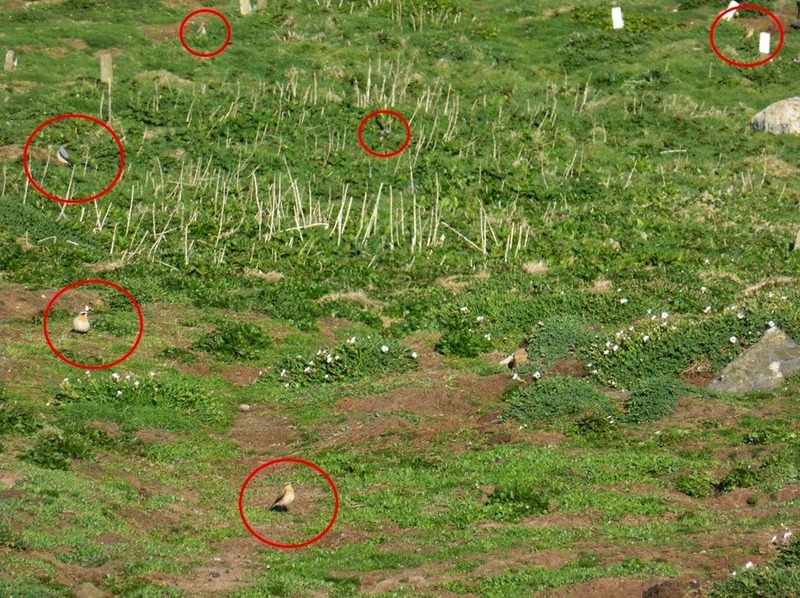 The Puffins were joined today by 50+ Weatears: alone on the Isthmus we saw seven in one flock.On the picture below are six of the seven. Have a go and try and spot them. 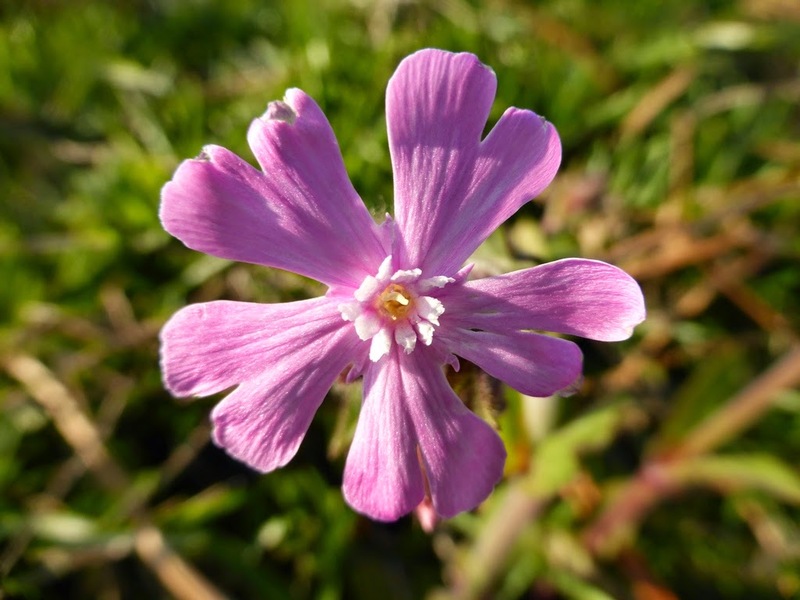 It seems that spring is finally here to stay, at least the Red Campion thinks so. The first in flower was seen today. 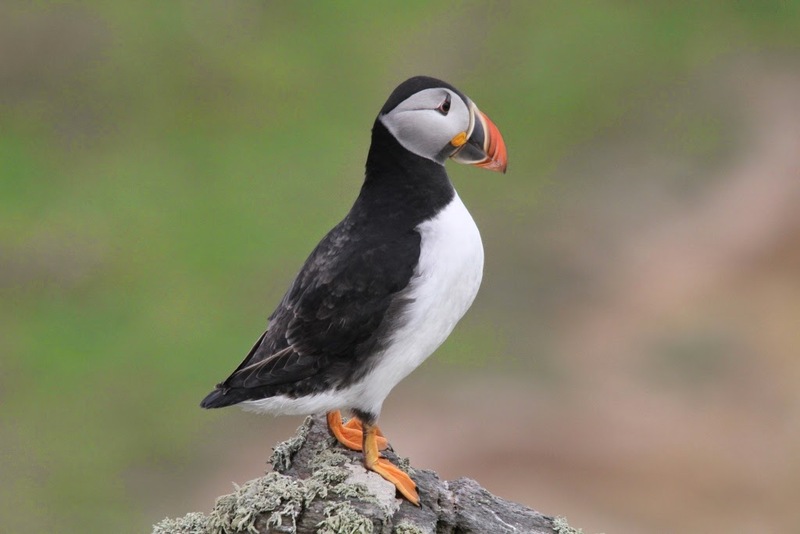 After our record breaking Puffin count on Wednesday of 21,229, we thought that the 2015 season couldn't have gotten off to a better start but, although the Puffins (and Guillemots and Razorbills) have temporarily deserted us (usual for this time of year), it was just a false Start! Today in North Haven a male Common Redstart was seen side by side with a female Black Redstart then latter on with a male Black Redstart. 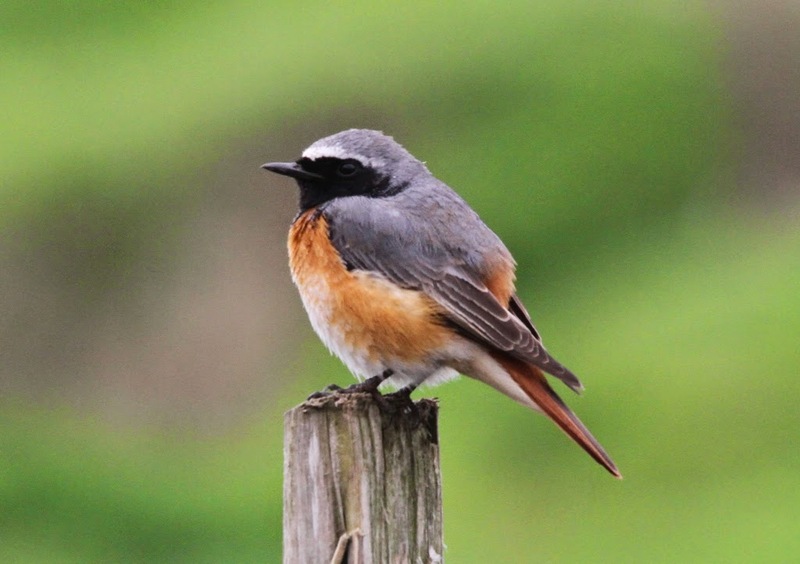 Common Redstarts usually breed in woodland or mature orchards and Black Redstarts often near human habitations. 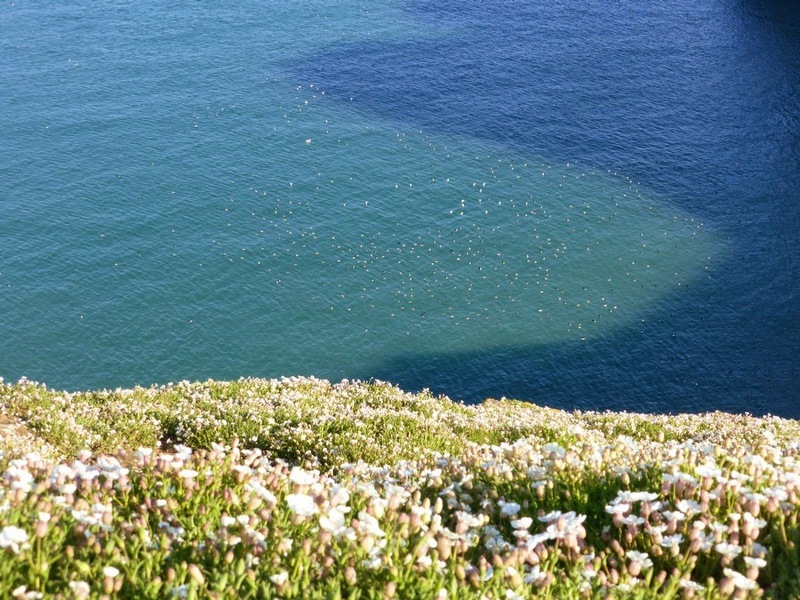 Both, of course, are on migration so seeing them side by side was a seasonal treat and a nice comparison. 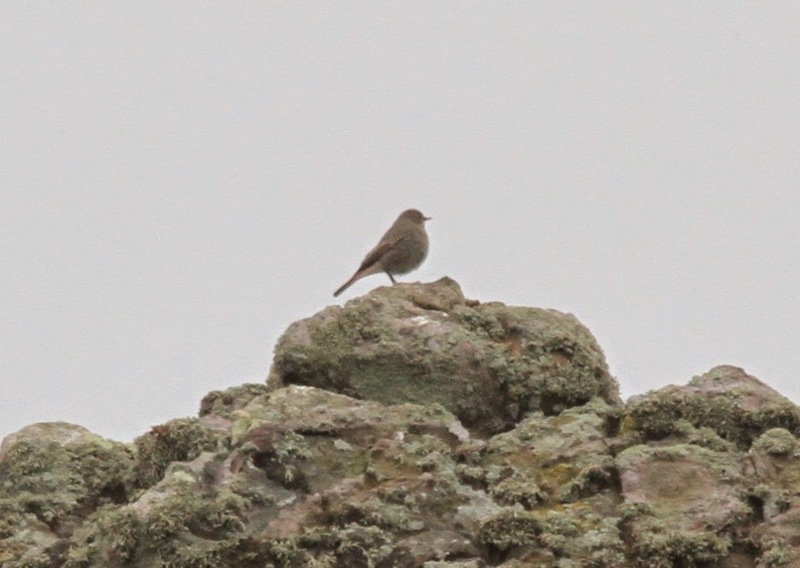 Unfortunately the Black Redstarts were far less obliging than the showy and very striking Common Redstart. See the Recent Sightings tab at the top of the blog for highlights of the last days and weeks. As some of you know, Ed and I had never been on the island before we signed our contract. The first time we did go and visit was in February 2013: Sash and Lucy Tusa took us out for a recce in their RiB and we had a walk around the island and looked at the buildings. On entering the garden at the farm I remarked that 'this place needs a bit of a clean up' and now after two years of waiting my dream has finally come true. 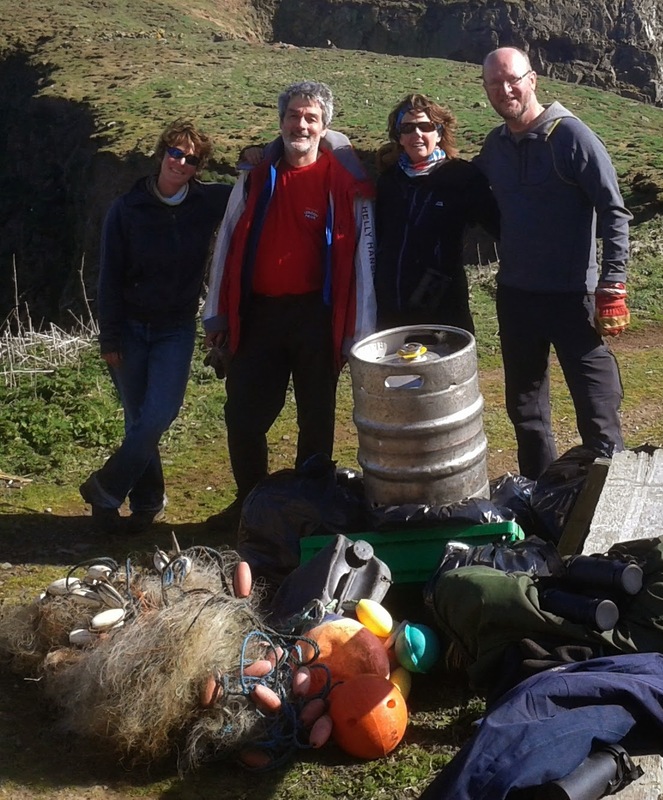 It all began last weekend with our first group of volunteers doing a rubbish pick on South Haven beach. This beach clean was our dress rehearsal for a whole week of sanding down, scraping off, painting, decorating and cleaning. Over the course of a week, seven lovely work party members helped us to renovate the windows at North Haven. 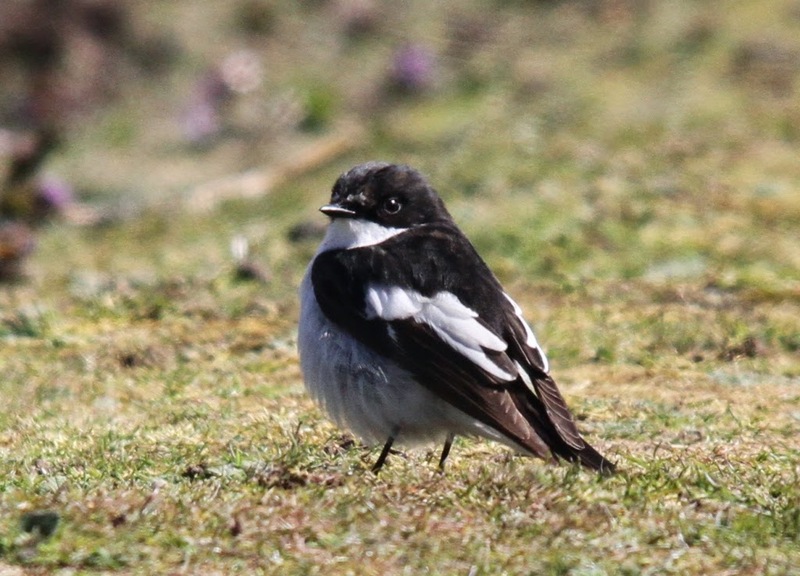 We did our very best to keep our volunteers happy and entertained and the birds did the rest: Ring Ouzles, Pied Flycatchers, Wrynecks, Hoopoes, hundreds of Willow Warblers and one Common Redstart. The work parties final task was to deliver the island from decades of accumulated rubbish. On Sunday we were wheel barrowing and lugging tons of scrap down to the salespoint. We were working flat out till the evening and still had some more tractor runs to do the following morning before the Lady Helen arrived at 10:30. Five more volunteers joined us from the mainland and then we spent the next five hours going up and down the steps with fridges, cookers, engines, generators, portable loos, pipe, cable, TV sets and things that escaped our imagination entirely. At 14:00 John Reynolds announced that the Lady Helen could not take anymore (neither could we to be honest), she sat rather deeply in the water. Luckily we had managed to take everything off except some scaffolding poles (above). A huge thanks goes to John Reynolds from Dale Sailing for bringing the Lady Helen from Neyland to Skomer and for his patience and amazing boat handling skills whilst we were throwing washing machines on his boat. Another thank you goes to the ferrymen Peter and Dereck for transporting our mainland helpers. And of course we thank the work party members, our weekly volunteers (who did not know what was coming their way when they booked on), Elspeth (currently the only researcher on the island), all the staff who worked until their muscles ached and the little migrant birds that turned up to make it so memorable. ... catches the worm. 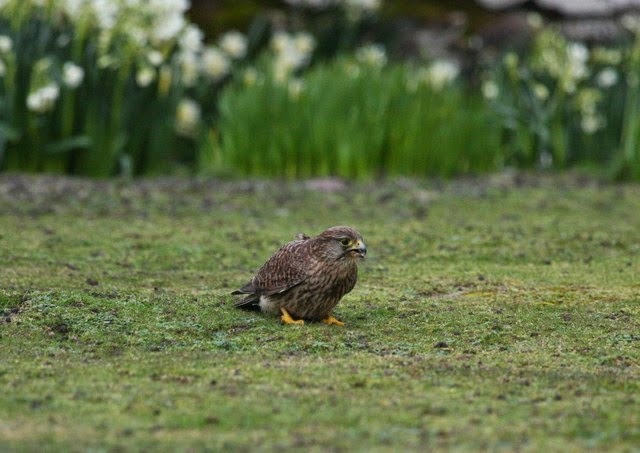 However in this case it wasn't a Blackbird that was gorging on succulent Skomer earth worms (they can grow to massive dimensions, believe me, I know as I have dug over my entire garden) but a female Kestrel. 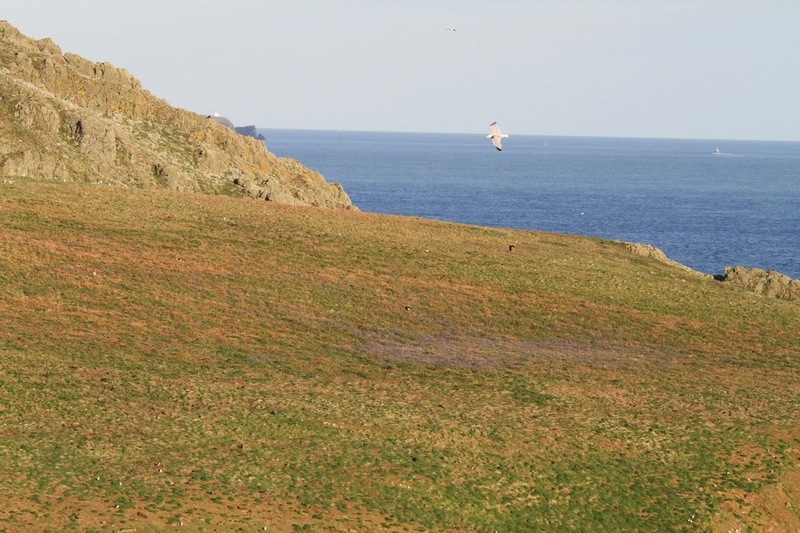 She has been hanging around Skomer for the last week. 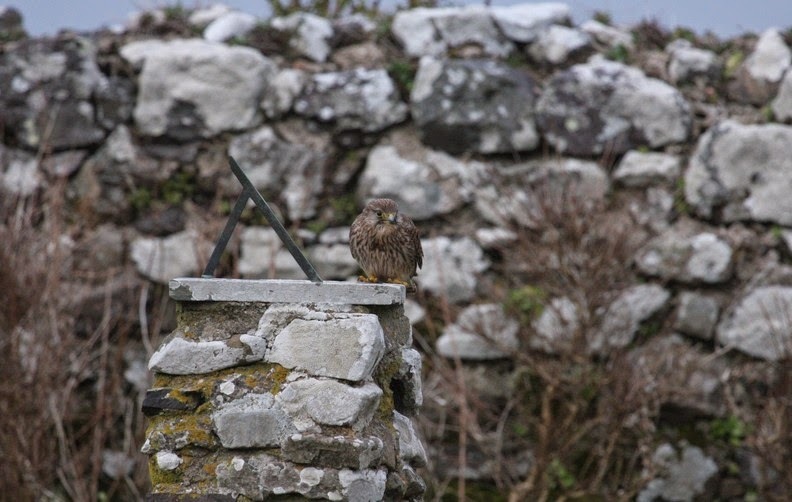 Unfortunately we have not seen a male Kestrel to keep her company. She is a bit shaggy, with some feathers sticking up on her back and she might not be the sharpest tool in the box when it comes to hunting - hence feeding on earth worms. On the other hand, who can blame her when there is a gale force 7 blowing - everyone keeps a low profile in such weather. What else has happened in the last week? 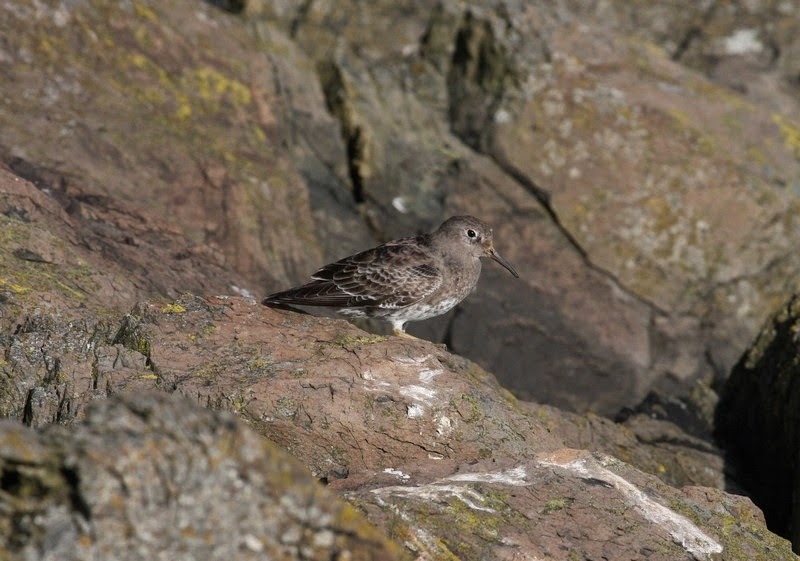 Ed found a roost of 18 Purple Sandpiper on the Neck which was rather exciting. We all went back yesterday to have another look and to our delight they were still there- hunkered down in between rocks. 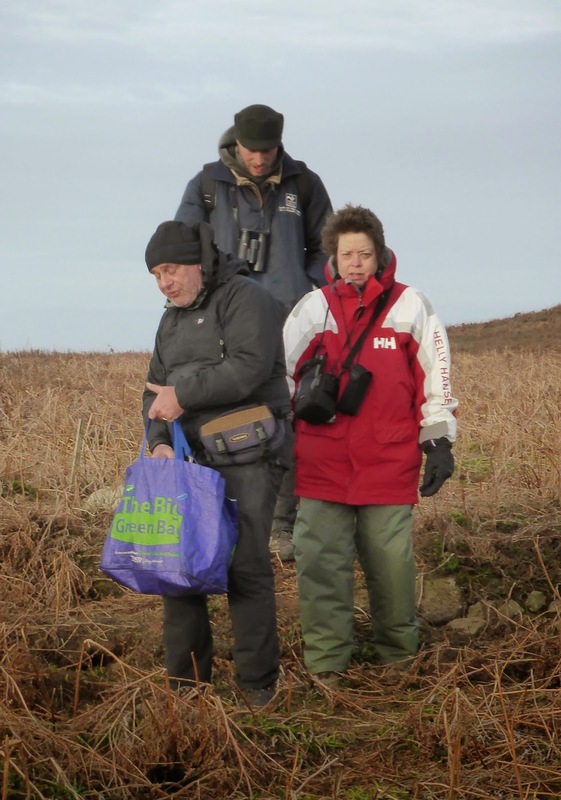 A non- wildlife highlight was the fact that we managed to get our four volunteers over despite the bad weather. 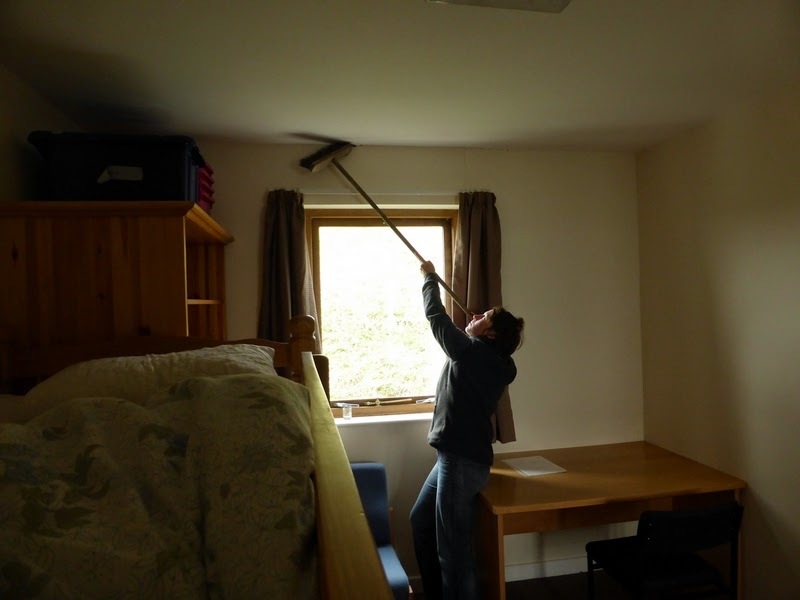 All of us have been very busy scrubbing, dusting, painting and polishing to give the island the finishing touches before the visitors arrive. Back to the wildlife highlights: At the moment we have up to 240 Grey Seals hauled out at North Haven. Every day we count them and look for tags. 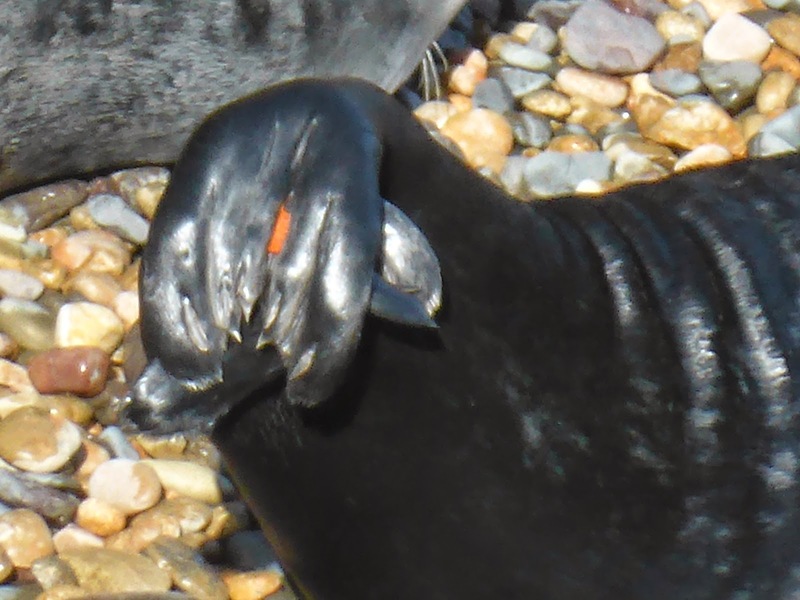 So far we have seen four different seals with tags, however it is very difficult to read the code on these little plastic markers. We have sent the pictures to the Cornish Seal Sanctuary as we often get rehabilitated seals from Cornwall visiting Skomer. ...when he lifts his tail. 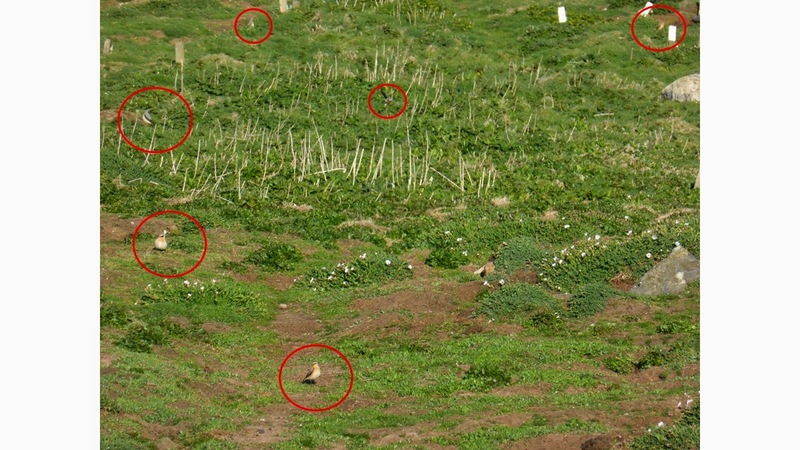 And final highlight: Mick Loughran has also made it out to Skomer (and is stuck now, he wanted to leave today) and is continuing his long-term study of the Skomer Vole. He was out every morning checking his traps - rain or shine. 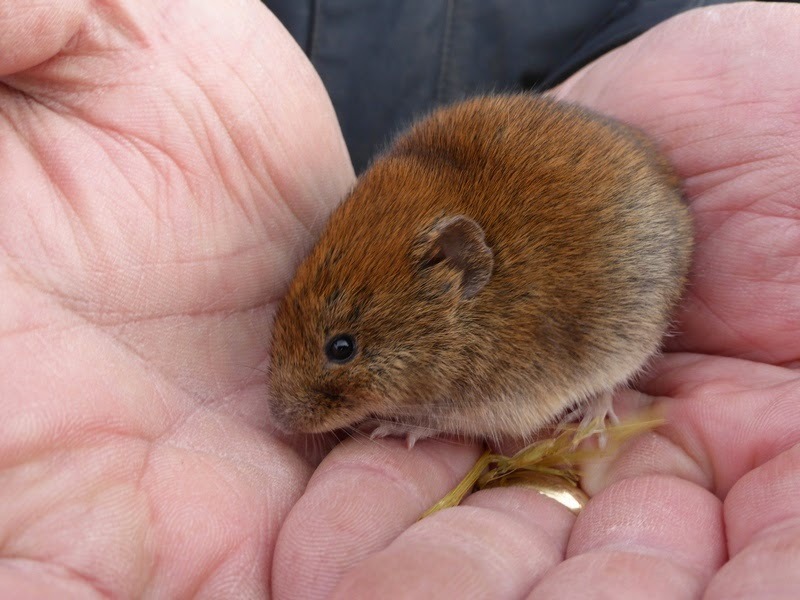 Today we found one Wood Mouse and three Skomer Voles which had decided to accept Mick's offer of Bed&Breakfast (the traps have straw and seeds in them). And what will happen next? We are hoping to get a rush of small migrant birds soon as it has been very quiet in the last week. 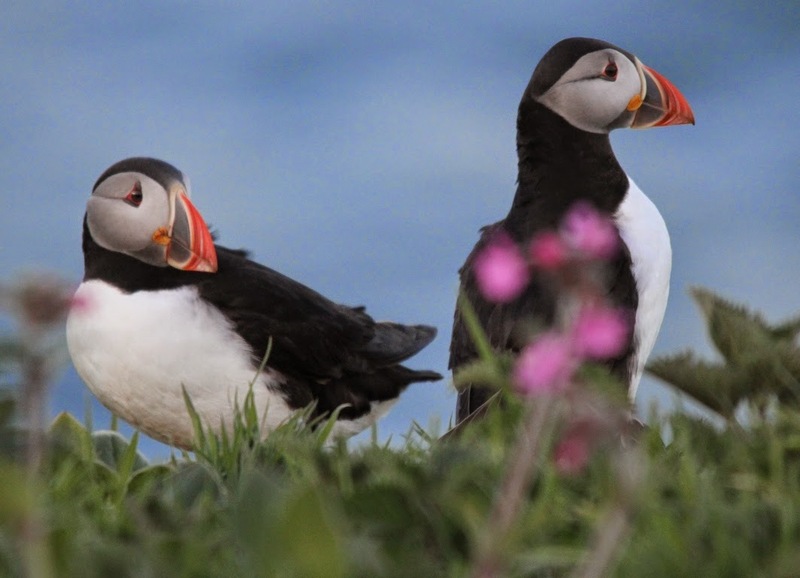 Also we are expecting that our seabirds (Puffins, Razorbills, Guillemots) will be present more regularly and for longer periods as April progresses. And last but not least, we are excited to welcome our first visitors to our amazing island.